CANduino is a CANsat platform which is designed according to requirements of ESA EUROPEAN CANSAT COMPETITION (ECS). It uses electronic components in Arduino standard. 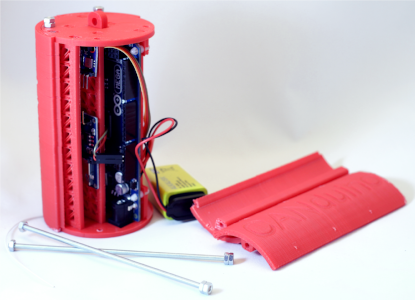 CANsat is a mechanical-electronic platform for educating pupils and students in the field of space engineering. It is a small “spaceship” which fits into a standard soda can. 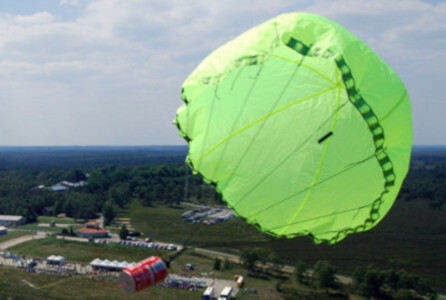 Finished CANsat is raised to elevation of about 1km by means of a rocket, balloon, drone or plane in order to be dropped on parachute and land safely on the ground. During this descent electronic devices inside are measuring various parameters such as temperature, pressure or acceleration. 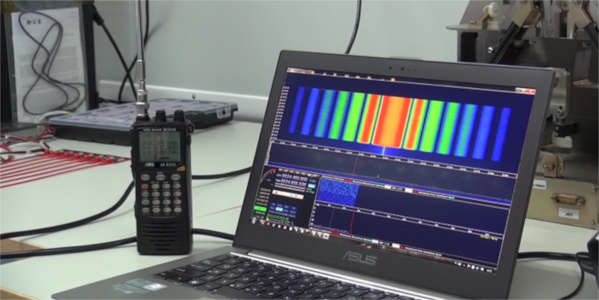 Collected data is stored onboard and transmitted through the radio to the ground station. 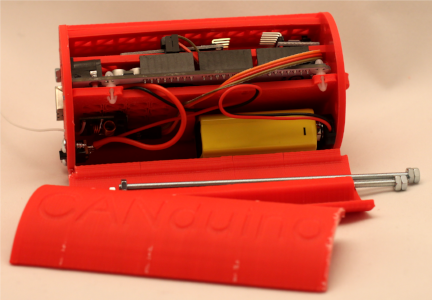 CANduino is a platform intended to help in building your own CANsat. 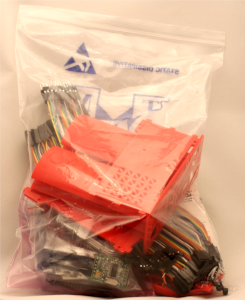 It consists of ABS plastic structure and Arduino electronics. It is important that it does not need any sophisticated PCBs because it utilizes Arduino standard peripherals which are available in almost every shop for electronics hobbyists. Additionally, CANduino kits do not require any specialist tools to be assembled. It is enough to have knife, tweezers, screwdriver and PC computer to program the kit. What is the size of CANduino? CANduino is based on the requirements of EUROPEAN CANSAT COMPETITION. The size of the can is 115 mm in height and 66 mm in diameter with additional space of 45mm in height above to fit additional payload, antennas and a parachute. Weight of CANduino itself is 200g while allowed weight for CANsat is 300-350g. So there is weight reserve for additional payload or ballast. What is included in CANduino kit? There are many different configurations you can buy. Details can be found in our online shop. It is recommended to purchase additional Ground Station Pack which includes Software Defined Radio receiver. It allows to receive data from CANduino on a distance of few kilometers. When additional antenna is used the range can be extended even to few tens kilometers. Can I build a CANduino kit from a scratch? We recommend to start with our kit which can be purchased here. However, the strength of CANduino is that all its elements are commonly available. 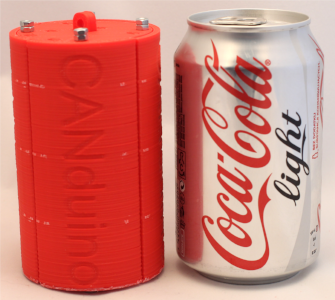 The CANduino casing can be printed on 3D printer (the appropriate files are available in the Download section) while all other electronic components can be purchased in electronics shops. Programming software and examples of programs are available for free and can be also downloaded in our Download section. What is the licence for CANduino? CANduino is available free of charge for non-commercial purposes. This means when you want to build CANduino just for fun or science you there are no restrictions. You can build it at your own cost (for example: print the plastic casing for your friends using your 3D priner). However, if you would like to build CANduino kits for resale you should get permission from CANduino team. We are not terrible and for sure we can make a deal. We love to popularize science but development of CANduino have taken some time and money. At least, we want to get reimbursement of costs and pay for the maintenance of our website. Copyright © CANduino.EU. All rights reserved.